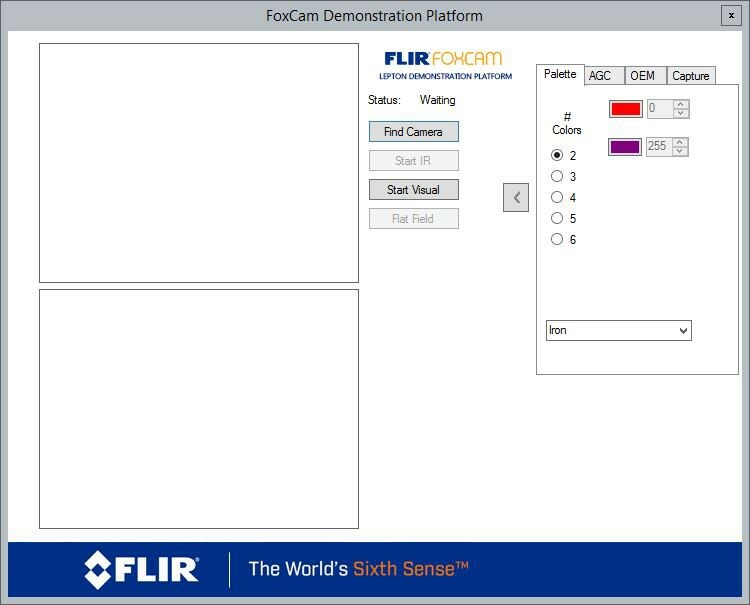 FLIR recently released a new version of their PocketCam/FoxCam GUI software to us. Now we can share with you, pretty exciting right? You can download it here. We are also keeping the link to the older GUI software live, which you can download here. One thing worth noting, regarding the new files, is that they also provide sample firmware that implements the Lepton communication and control protocol for a different larger evaluation platform (now discontinued) that may be helpful for your custom integration. 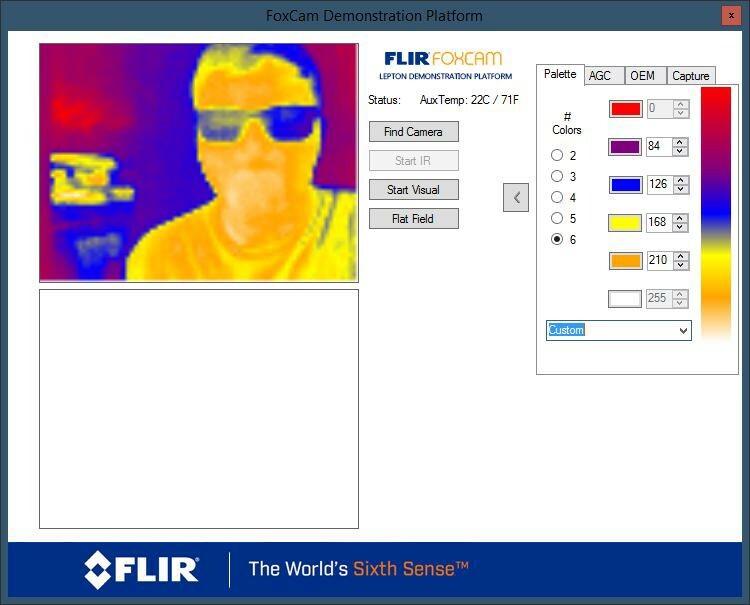 FLIR has greatly expanded their features and interface in this version. You can now select up to six different colors of your choosing. There is also a dropdown to choose the preset color pallets. Spice it up. 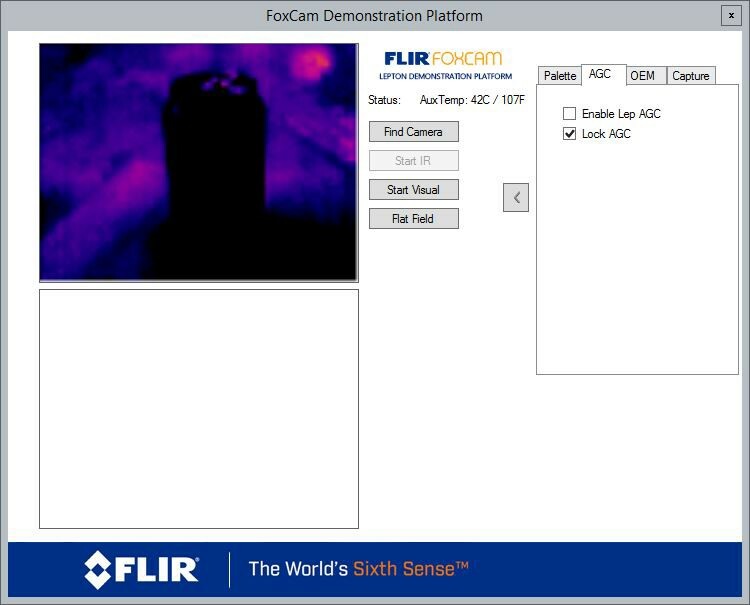 Also FLIR has added a lock for the automatic gain control (AGC). This locks the camera’s gain so you can compare the heat of one object relative to another. For the image below, Matt locked the AGC onto himself and pointed it at a cold drink. 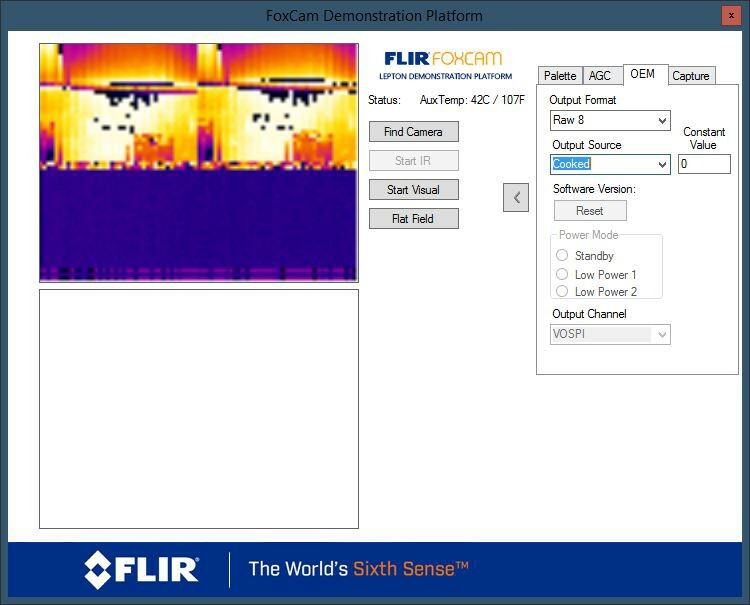 FLIR has also added different output formats, both 8 and 14, as well as different output source options. You can also take still images from within the software. Here’s some more soda can action. 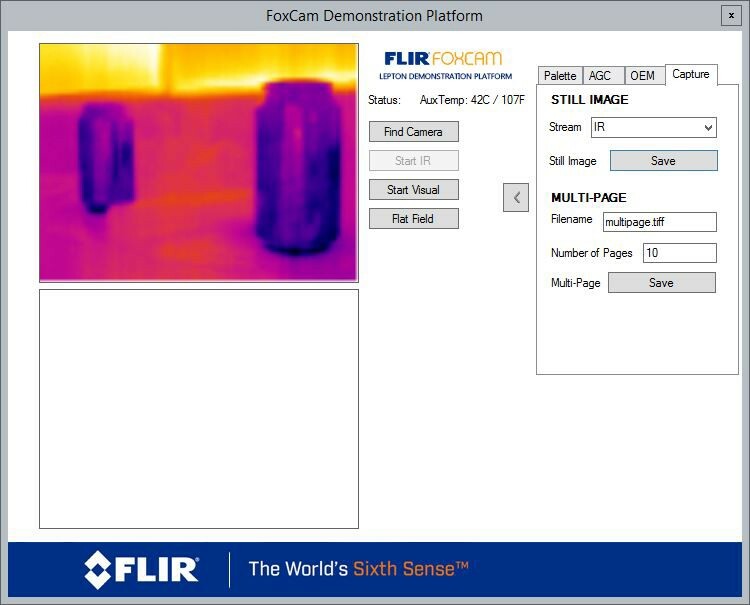 FLIR has also provided us with a new and very detailed pdf containing information about the Lepton software interface that should help create interesting new applications for Lepton thermal imagers. Once again, here is a link to the new GUI software and updated documents. Happy hacking!